Fall Semester 2012 the Department of Mathematics initiated an exchange program with Zhejiang University. 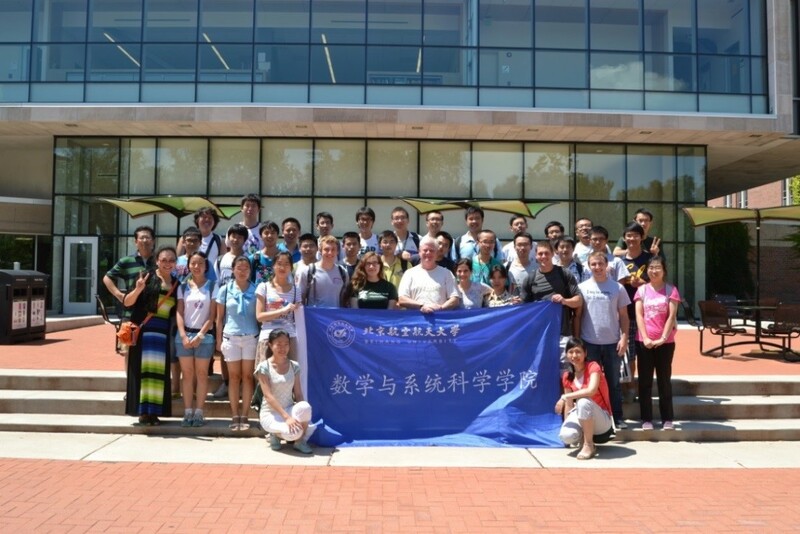 The following year students from Xi’an Jiaotong University and Beihang University joined MSU’s Mathematics Exchange program. Students come to MSU for one semester. Research Experience: Participating in research is one of the most rewarding academic experiences for an undergraduate. Each exchange student is assigned to a faculty research mentor to work on original research in a current area of mathematics. Courses: Exchange students take challenging undergraduate and graduate level classes with MSU students. Many exchange students choose classes in our Advanced Track undergraduate program - a program designed for highly talented and motivated students. Discovering America: A unique and central piece of our exchange program, Discovering America is a comprehensive cultural experience aimed at enhancing the exchange students’ understanding of American culture and fostering friendships between exchange students, local students and faculty members.